“We/Us/Our” means Wallwork Nelson and Johnson also referred to as WNJ. 3.3 Cookies on Our Site are not permanent and will expire after 12 months. 3.5 Our Site uses analytics services provided by google. Website analytics refers to a set of tools used to collect and analyse anonymous usage information, enabling Us to better understand how Our Site is used. This, in turn, enables Us to improve Our Site and the products and services offered through it. You do not have to allow Us to use these Cookies, however whilst Our use of them does not pose any risk to your privacy or your safe use of Our Site, it does enable Us to continually improve Our Site, making it a better and more useful experience for you. 3.6 The analytics service(s) used by Our Site use(s) analytics Cookies to gather the required information. 4.1 Before Cookies are placed on your computer or device, you will be shown a Cookie Banner requesting your consent to set those Cookies. By giving your consent to the placing of Cookies you are enabling Us to provide the best possible experience and service to you. You may, if you wish, deny consent to the placing of Cookies unless those Cookies are strictly necessary; however certain features of Our Site may not function fully or as intended. 6.2 For more information about privacy, data protection and our terms and conditions, please see the following Privacy Notice. 6.3 For more information about use of this website, please see ‘Terms of website use’ page. Wallwork Nelson and Johnson respects your privacy and is committed to protecting your personal data. This privacy notice will inform you as to how we look after your personal data when you do business with us and when you visit our website (regardless of where you visit it from) and tell you about your privacy rights and how the law protects you. This privacy notice aims to give you information on how WNJ collects and processes your personal data, including any data you may provide through this website. 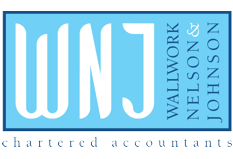 Wallwork Nelson and Johnson, trading as WNJ is the controller and responsible for your personal data (collectively referred to as WNJ, “we”, “us” or “our” in this privacy notice). We have appointed a data protection officer (DPO) who is responsible for overseeing questions in relation to this privacy notice. If you have any questions about this privacy notice, including any requests to exercise your legal rights (explained below), please contact the DPO using the details set out below. This version was last updated on 07/03/2019 and historic versions can be obtained by contacting us. · Identity Data includes first name, last name, marital status, title, date of birth, National Insurance numbers, signature and gender. · Contact Data includes address, email address and telephone numbers. · Financial Data includes bank account details, tax codes, salary data, bank statements and assets and liabilities statements, credit history. · Usage Data includes information about how you use our website, and services. Where we need to collect personal data by law, or under the terms of a contract we have with you and if you fail to provide that data when requested, we may not be able to perform the contract we have or are trying to enter into with you (for example, to provide you with our services). In this case, we may have to cancel our services you have with us but we will notify you if this is the case at the time. · Indirect interactions. Your employer may give us your Identity, Contact and Financial Data by filling in forms or by corresponding with us by post, phone, email or otherwise in order for us to provide our services and also during the provision of those services. · Where we need to perform the contract we are about to enter into or have entered into with you to provide financial and accounting services. We have set out below, in a table format, a description of all the ways we plan to use your personal data, and which of the legal bases we rely on to do so, including our legitimate interests. We may use your Identity, Contact, and Profile Data to form a view on what we think you may want or need, or what may be of interest to you. This is how we decide which information, newsletters and services for ease of reference, services and offers may be relevant for you (we call this marketing). You will receive marketing communications from us if you have requested information from us or purchased from us, if you have not opted out of receiving that marketing. We may have to share your personal data with the parties set out below for the purposes set out in the table in paragraph 10 above. · We may share your personal data with third parties where we are required by law, where it is necessary to administer the relationship between us or where we have another legitimate interest in doing so. · We may share your personal data with third party service providers and other entities within our group. For example, IT and cloud services, professional advisory services, administration services, marketing services, and banking services. We require all third parties to respect the security of your personal data and to treat it in accordance with the law. We do not allow our third-party service providers to use your personal data for their own purposes and only permit them to process your personal data for specified purposes and in accordance with our instructions, or in accordance with medical standards and practices. Legitimate Interest means the interest of our business in conducting and managing our business to enable us to give you the best service/product and the best and most secure experience. We make sure we consider and balance any potential impact on you (both positive and negative) and your rights before we process your personal data for our legitimate interests. We do not use your personal data for activities where our interests are overridden by the impact on you (unless we have your consent or are otherwise required or permitted to by law). You can obtain further information about how we assess our legitimate interests against any potential impact on you in respect of specific activities by paragraph 10.